Dragons covet shiny treasure, and this one's laughing because it IS a treasure! 32 crystals shine from the wings, alone. It's back feet grasp a crystal ball, clear from some angles, pink, yellow, green and blue from others. 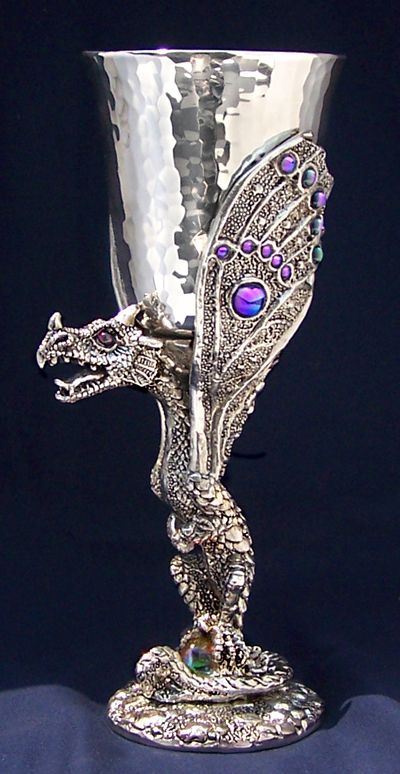 We make each goblet by hand from lead-free pewter, then individually number each one in the edition. It easily holds 8 ounces of your favorite drink.